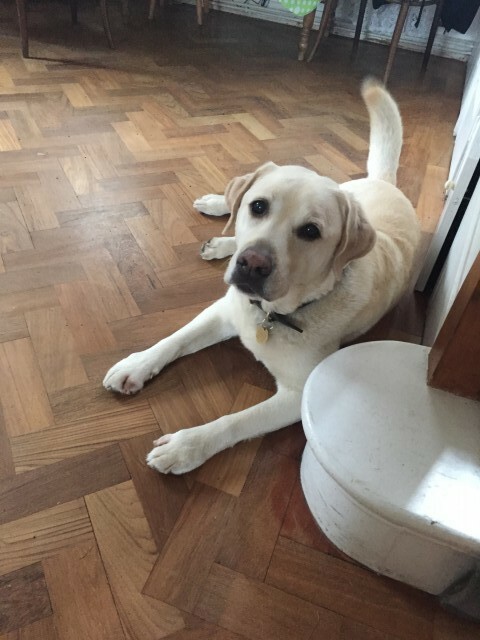 A heartfelt plea from one of our owners a couple of weeks ago about Charlie, a lovely old Labrador belonging to a friend of theirs who’d tragically died. Charlie has now moved up to the Suffolk to start his new life in Bury St Edmunds. A bit different to Hampstead, but another home to love, and hearth to happily guard. Hurray. Thank you dear Sarah for finding Charlie his new home and saving him from languishing in a rescue shelter! We’ll all miss having him as our neighbour but are overjoyed to think of him loving and being loved by a new family.